Meet Microsoft’s latest foray into the high-end tablet market, at first look one would think that the new tablet is not much different than its predecessor, both measure 274.5 X 13.5 X 173 mm and are housed in a black painted magnesium chassis and have a 10.6 inch 1080p 10-point IPS touchscreen. The 2-in-1 device retains the USB 3.0 port on the left edge along with a volume adjuster and headset jack while the left edge stores the mini-DisplayPort and magnetic connector for the AC adapter. Microsoft is pushing the Surface line forward in an effort to seriously challenge the dominance iPads currently enjoy on the market. The Seattle based tech giant tried to up the ante with the new tablet and in order to achieve this has packed their second gen multipurpose device with a variety of improvements. It runs Windows 8.1 Pro, an improved version of the Windows RT, that greatly improves user experience. To enable the device to run all its new features, it is powered by Intel’s Core i5 Haswell processor, Intel’s HD Graphics 4400 and has a longer battery life than its predecessor. It runs legacy business application, has a docking station and a keyboard/cover that includes a supplemental battery which will allow users to use the device for up to 20 hours. To the consumer choice the several variants of memory capacity is offered: 64/128GB (with 4GB RAM) or 256/512GB (with 8GB RAM). As for tablet side, the Pro 2 is able to run as many apps simultaneously as you wish and includes Surface Pen. Microsoft found a good niche with its Pro line which boasts of devices that are more than just tablets but can also function as laptops but without the added bulk and weight. 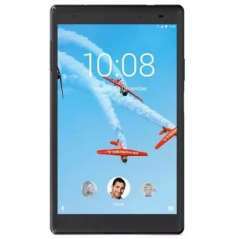 Their second professional model is a perfect alternative to most tablets present in the market right now. 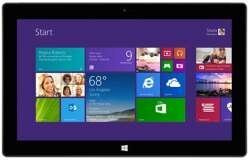 the newly released Surface Pro 3 continues with the same refined formula.The Surface 2 Pro has a 10.6 inch screen which makes it ideal for performing tasks usually reserved for a full-sized notebook such as presentations, e-sign documents, and using MS Office programs and applications. As for its accessories, the devices comes with a cover that doubles as a detachable keyboard. It comes in a variety of colors which includes black, pink, blue, purple and red. The line just released its third generation device, the aptly named Surface Pro 3 and already it is garnering rave reviews from industry experts and tech bloggers. 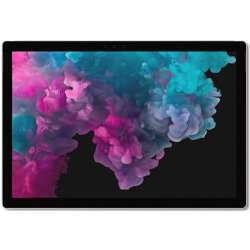 It is the most advanced member of the series, it comes with a larger 12 inch display--yet easier to use as a tablet, and can probably replace both your tablet and your laptop. It is virtually a PC with a full Windows 8.1 and weighs under a kilogram. More than just a fully functional PC, this latest model can also be transformed into a virtual notebook thanks to its stylus and more responsive note taking apps. The lineup is continuously improving and getting closer to the perfect mobile computing device that can satisfy your need for a powerful PC that is portable and tablet-like. The Transformer line of ASUS tablets also has these features but the Surface offers a more coherent and tight package. If the pumped up features of the Pro 2 are not enough to make you try it, how about all the perks that Microsoft decided to throw in like a year’s access to Skype hotspots, one year landline calling through Skype, and 200GB of free SkyDrive storage for two years! Microsoft's Surface Pro 2 is available in 4GB RAM or 8GB RAM and 64GB or 128GB configuration and since its upgrade is about to hit the market, we expect its price to drop considerably soon. Compare prices from different retailers and make sure you do not miss out on any incoming special offers and price cut deals for this magnificent multifunctional device here at PricePanda.